Anyone who’s been to a rock concert knows that the high-decibel music can leave your hearing dulled and your ears ringing. Next time, take earplugs. A new study suggests they can prevent temporary hearing loss. At an outdoor music festival in Amsterdam, researchers conducted an experiment with 51 people with normal hearing, according to the study, published in the Journal of American Medical Association (JAMA). Twenty-five concert-goers wore silicone earplugs and 26 did not. All had their hearing tested before the show. During the next 4 ½ hours, they listened to music that averaged 100 decibels (dB). When the participants’ hearing was tested after the concert, researchers found that the 25 wearing the earplugs experienced a temporary shift in hearing of 8 percent. The 26 without protection experienced a temporary shift of 42 percent. The researchers also noticed that the earplugs lowered the incidence of tinnitus, commonly known as ringing in the ears. Of the concert-goers who wore earplugs, 12 percent experienced tinnitus versus 40 percent for those who did not. Dr. Wilko Grolman, the study's author and a professor at the University Medical Center Utrecht in the Netherlands, said tinnitus signaled that the participants’ ears had been overstressed by the high-decibel music. Most audiologists believe that hearing loss starts to occur after listening to music at 100 dB for more than 15 minutes. At that point, a person could be at risk of permanent hearing loss. Keep in mind that most rock concerts average 100 to 110 dB. In recent years, hearing specialists also have become concerned about the ubiquity of headphones and earbuds, which many people wear to listen to music on portable music players. City streets, public transportation, libraries and even workplaces are full of people listening to music this way. But this can lead to even worse hearing problems than concerts because of the more prolonged exposure to loud sounds. Normal talking is 40 to 60 dB. A rock concert delivers 100 to 120 dB; the dB level in front of speakers can go as high as 140. The maximum volume on headphones is 105 dB. In general, it’s good to be aware of your environment and how loud life gets at times. Raucous sporting venues, bars and restaurants also can challenge your hearing. Just being mindful of how much noise our ears are subjected to is a good starting point to protecting our hearing. Regular hearing tests also make sense. Wear foam or silicone earplugs, or custom-fit musician earplugs. Sit at least 10 feet away from speakers. Take breaks in quieter areas. Try not to let others shout in your ears to be heard because this can cause further harm. Avoid too much alcohol, which can dull you to the pain that loud sounds can cause. Rest your ears for 24 hours after listening to loud music to give them a chance to recover. Keep in mind that the volume is too loud if a person near you can hear the music coming from your headphones or earbuds. Reduce the amount of time you use headphones. Turn down the volume. Listening to music at level 5 or above for just 15 minutes a day may cause long-term hearing damage. If you have questions or concerns about possible hearing loss, talk with your health care provider. 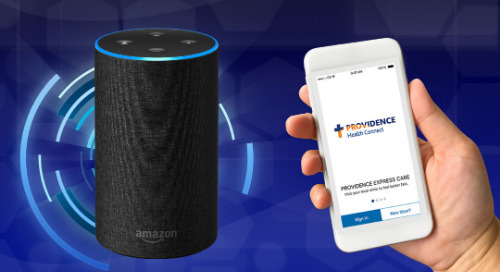 You can find a Providence provider here.